The Songmen have built a reputation as one of the finest and most versatile a cappella groups. 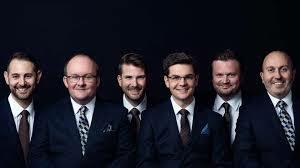 Tonight they present a journey through the genres taking you from some of the finest renaissance polyphony, through contemporary sacred music to their trademark jazz and pop arrangements. This event is supported by Cotswold Eye Care Centre.